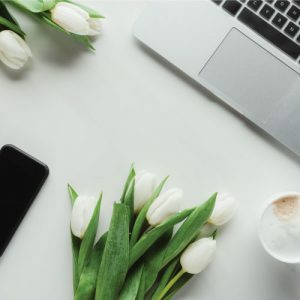 Spring clean your digital marketing : Petworth and Chichester | KateCoote. Spring may not have arrived yet, but April has! So it’s time to think about a spring clean of your digital marketing channels. As I network around Petworth and Chichester this month, I’ll be sharing some tips to help transform your online presence. In the meantime, read on for five ways to give your digital channels a new lease of life! Sift through your social – As new social media trends have emerged you may have created a Pinterest, Snapchat or Dubsmash account, but have you used it and is it working for you? Take some time to review your social media accounts. Which ones are you using to connect and engage with your clients? Probably the ones you enjoy using the most. If that’s the case, then take a long hard look at the others that you aren’t doing much with. Either make a commitment to them or dump them and concentrate instead on using the channels you enjoy! Pimp up your profile(s) – Consider whether your business or personal brand is reflected consistently throughout all your digital marketing channels. Does your business biography reflect exactly what you do, across all the channels you use? Are you using the same professional headshot or profile image across your platforms? Does it need an upgrade? A very talented photographer who I network with in Chichester has put together a fantastic package to help you reflect your brand professionally with great photography. Check out Kate Henwood’s “Day in the life of…” packages… Visit Kate’s Facebook page to find out more. Make friends and influence people – Social media has affected the way we do business and changed the way we connect with customers. It has also allowed business owners to connect more readily with other businesses. Take advantage of this by collaborating through digital marketing with businesses who have brand values that ally with yours. It’s a great way to expand your customer base. Whizz up your website – When was the last time you reviewed your website copy? If your business model, products or services have changed since your website was first designed, it’s important to update your website accordingly. I always advise clients that a website is never complete! If you own or owned a retail outlet, you would never leave your shop window unchanged for two or three years. And yet, all too often this is common practice with a website. “The LinkedIn posts and blogs Kate has written for me are translating to real dollars, introducing me to a completely new market. I have just finished a half-day training session with a group who had (unbeknownst to me) been following me on LinkedIn! They said, “We’ve been sharing your blog posts everywhere!” Plus one of their colleagues contacted me separately for a two day in-house training proposal. These clients are new to me. They are influential in what they do. Without Kate, they would never have found me!” – Rosemary Killip, Director and Lead Learning and Development Consultant for Building Networks NZ Ltd. I work with businesses in Petworth, Chichester, Nationally and Internationally, if you’d like to find out how I can help you market your business more successfully contact me HERE.